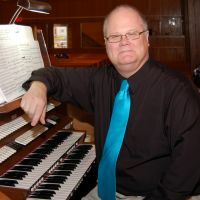 Additional Info: Tom Fortier is a 1978 graduate of Westminster Choir College, Princeton, New Jersey where he earned a performance degree in classical organ, studying with Joan Lippincott and Donald McDonald. While at Westminster, Tom minored in voice, singing in chorus under the baton of Leonard Bernstein, James Levine, Robert Shaw, and Michael Tilson-Thomas. In addition, Tom sang in chorus on two Columbia recordings featuring the New York Philharmonic directed by Leonard Bernstein. One of the recordings, the Haydn "Lord Nelson Mass" was nominated for a Grammy award. In 1990 Tom augmented his classical style playing with "theater" organ by studying with the late Father Jim Miller. Tom's premier as a theater organist took place at the New York State Fairgrounds in Syracuse in 1990, with return engagements in 1992, 1994, 1998, and 2006. Tom is the former President of the Temple Theater Organ Club in Saginaw MI, and the Flint Theatre Organ Club in Flint, MI. He is also a past board member of the Detroit Theater Organ Society and the Friends of the For-Mar Nature Preserve. Tom is available to play for weddings, parties, funerals and worship services. Tom also provides private tutoring in classical organ, theater organ, piano, midi instruments, and voice.